I absolutely love attending synchronous educational webinars and virtual conferences. It is such a treat to be able to listen to experts from the comfort of my home and chat with colleagues during the presentations. I am baffled, though, why, with all of the interactive elements within the webinar platform and via the Internet, many of them become talking heads with slides. The irony is that much of the content of the webinars, in one way or another, suggests improving pedagogy, moving from the sage on the stage to increasing learner participation and engagement in the learning process. Only the best of speakers can engage the audience and keep their attention for over 20 minutes of non-interrupted talking. See Why Long Lectures Are Ineffective: If students can only focus for 15-minute intervals, shouldn’t we devote precious class time to something more engaging? and my Mentormob of resources: Lectures in the Classroom for more on about this. It is interesting to me that the feedback I get from participants in my webinars that they appreciated the interactivity, that it was one of the most interactive sessions they have ever attended. Why I find this fascinating is that I believe this should be the norm not the exception. use resources that can be easily identified, and share strategies for using them. Presenters will often begin their sessions with an interactive element such a poll and then use no interactive elements until the end of the hour long session when they ask for questions. Why aren’t interactive elements introduced at regular intervals throughout the presentation to support the principles of Andragogy? Sharing resources via live links for participants to visit while I talk about them. 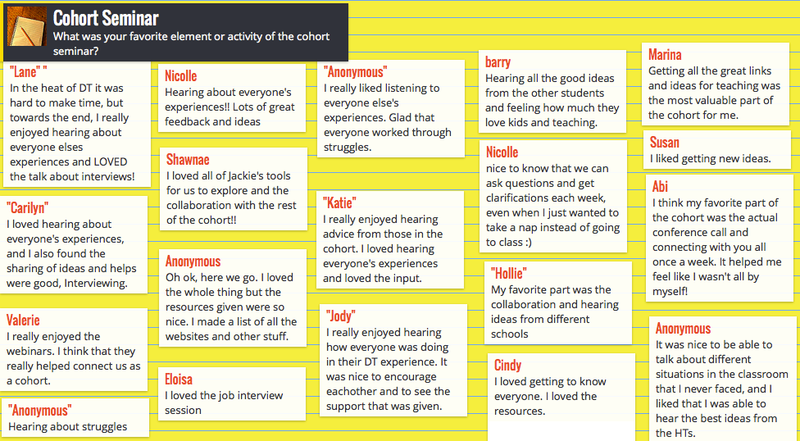 Building in periodic breaks to “live chat share” – to share ideas, resources, questions about the segment of content just covered, and verbally pointing out ideas shared along with using the participants’ names to do so. Asking participants to share their own resources and best practices in the chat. Doing an interactive Web 2.0 tool or game – e.g., having participants share using Padlet so they can easily access this information later. Asking participants to watch a short video or read a short article and report their thoughts in the chat. Having participants create one slide of a shared Google Presentation on one of the subtopics being discussed resulting in a group presentation. Asking participants to a photo of a concept through Flickr (see Using Flickr to Collect Images Captured on Cell Phones noting that this process can be used from any device that permits emailing). Using the webinar whiteboard to have participants draw a significant learning. Ending with an action step – asking participants one thing they will commit to do based on something learned in the webinar. I teach a Boise State University EdTech graduate course in Social Networking Learning. 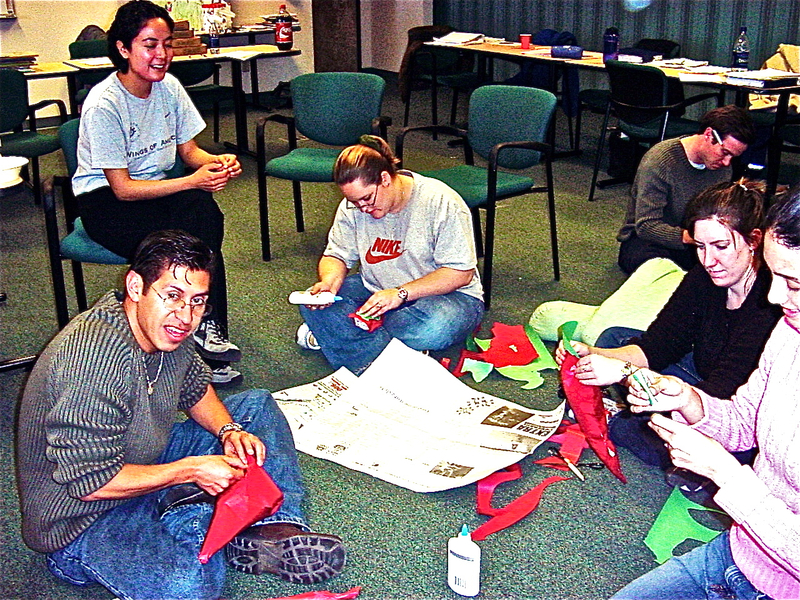 I wrote about this course in Educators as Social Networked Learners. For your final project (the final module is peer reviews of this assignment), you’ll be formulating, outlining, proposing your very own social networked mini-curricular unit. Creating your own mini-curricular unit for your final project will provide you with the opportunity to synthesize and apply the social networking skills and strategies you learned throughout the course. You will need to have a central hub to share information – WordPress, Google Sites, Wiki, Edmodo. (This will also be the site where you address all of the requirements of this project. 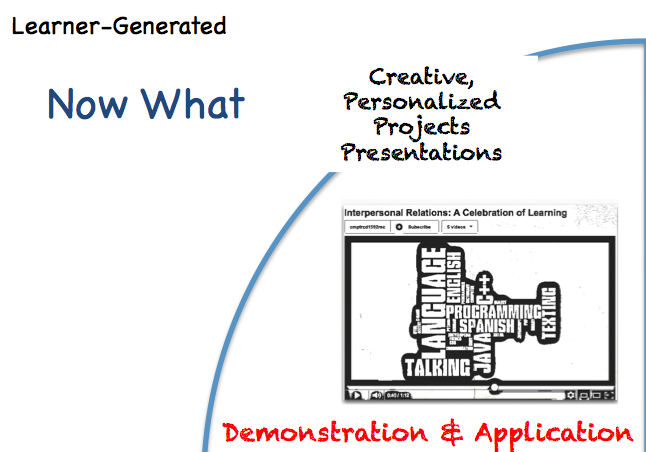 Student interaction: Develop a process for students to interact with and collaborate with one another. Apart from the course social networking platforms, participants should be encouraged to generate content spaces of their own, allowing them to both increase their Personal Learning Environment, as well as share their experiences with both the other MOOC participants as well as their own Personal Learning Network (http://moocguide.wikispaces.com/4.+Designing+a+MOOC+using+social+media+tools) This, obviously, needs to be discussed and presented to the students that is age-grade appropriate. You, the educator, need ways to collect all the information and RSS feeds that your students are producing. Netvibes works well for this or gRSShopper (developed by Stephen Downes, a MOOC guru) if you have a server and some basic sysadmin skills (or know somebody who does). Your process of disseminating announcements and aggregated student contributions on a regular basis. List at least three learning activities for your course – make sure they address your learning outcomes and include many, if not all, of your course’s established social networks. Despite a passion for creative writing, many people refuse to identify themselves as writers. There are a number of misconceptions about writing including the idea that a true writer is one who is published by a publishing house. This course seeks to change that narrow view of writers. The writer is a person who finds joy or purpose in writing and endeavors to write often. Course Social Networking Technologies – http://sswrite.weebly.com/course-technology.html. 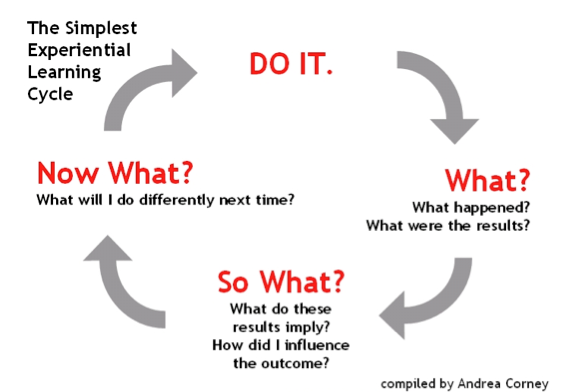 One of the biggest challenges that all writers face, is how to begin. What will you write about? You will be using your researching skills to brainstorm different literary genres. You may use any search engine you see fit. Then, once you’ve identified different genres of literature, start thinking about what makes a story fit into that particular genre. For instance, what elements make a story a horror story? To begin this activity, you will need to have your Diigo account set up and have joined the ELACADE. You will add 10 different bookmarks to Diigo, from your genre research. Once you have added your 10 resources for genre and characteristics of these genres onto Diigo, you will tweet them to our class hashtag #ELACADE. Once you have completed posting your resources to Diigo and tweeting them to our group, you will need to read through the research that your classmates have posted. Remember, that you are trying to identify the genre that you would like to use for your short story and get some ideas for plot. Tweet at least 10 other students in the class about their research. (*Include elements you found interesting or new ideas for your own story that you thought about after reading their research.) By the time you have finished this assignment, you should have a clear understanding of the genre of story you will be writing and what elements your short story should contain in order to fit into that genre. Students that complete this portion will receive the Brainstorming Badge. After completing the Twitter brainstorming activities, you will create a visualization board using Pinterest to help brainstorm setting and characterization. Visualization often aids writers in articulating written details about characters and setting. You should have set up a Pinterest account prior to beginning this activity. Review your brainstorming ideas and responses from your Twitter activity. Then, use Flickr or other internet resources to locate pictures to represent your setting and characterization ideas. “Pin” at least 25-30 images, websites, videos, or other media that helps you to visualize your storyline, characters and setting. Post a link to your Pin board in the Edmodo forum. Then, review and reply to the Visualization Pin boards of the members of your group. Students who complete this assignment will earn the Lessons Badge. A sample assignment: For this activity, we will meet up in real time via twitter to view the night sky and compare the constellations in view over a period of time. Utilizing a Skymap App, you will share their view of the night sky with classmates to get an understanding of the movement of the constellations across the night sky, the impact of latitude on what is seen and the speed at which the view changes. After your group stargazing, please visit our Facebook Group Page and reflect on the experience. Your reflection should include your perceptions before and after learning about constellations. Also, please respond to at least two group members posts. The final task for the course was a reflection on the course, what worked, what didn’t work, what was learned, what will be used in the future. A few students discussed this assignment as being a significant component of the course. I have been an online faculty for close to a decade. For the past few years, my online teaching has been 100% online. I believe in the power of the teacher-student relationship for facilitating learning. This, admittedly, has become more difficult to achieve in my online teaching. The majority of the instructional tools are asynchronous – discussion boards, blog posts, assignment dropboxes. I have developed relationships through dialogue with students but not deeply enough for my liking. 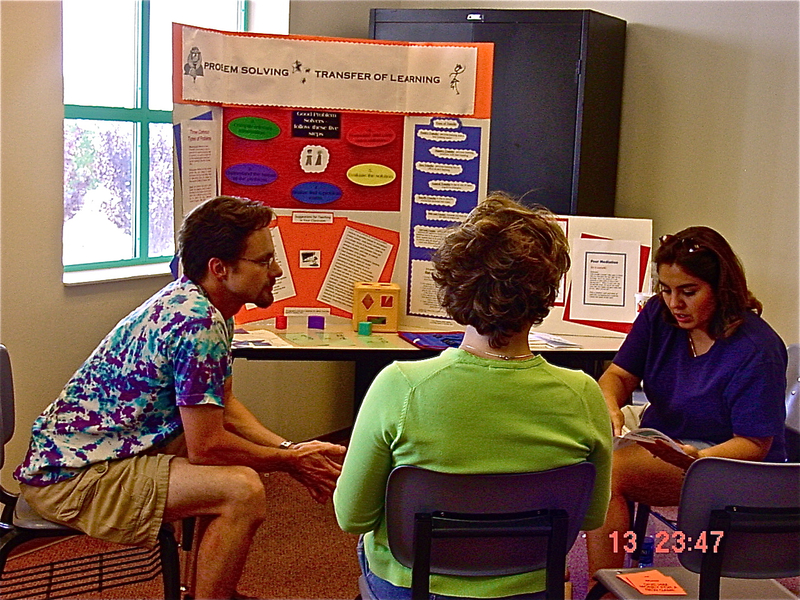 Beginning Fall, 2011, I became one of several Cohort Facilitators for the Western Governors University Demonstration Teaching. As part of my responsibilities, I meet with students one evening a week for 12 weeks while they are doing their demonstration teaching. We meet in Adobe Connect. I enable participant webcams so those who want can turn on their webcams. We have anywhere from 2 to 12 (all) students on webcam during our sessions. Each student gets the opportunity to respond to weekly prompts and to discuss successes/issues with their demonstration teaching. Tonight was our last session. As was true for the previous two semesters, I am very sad to see it end. We have become a community of co-teachers and co-learners. 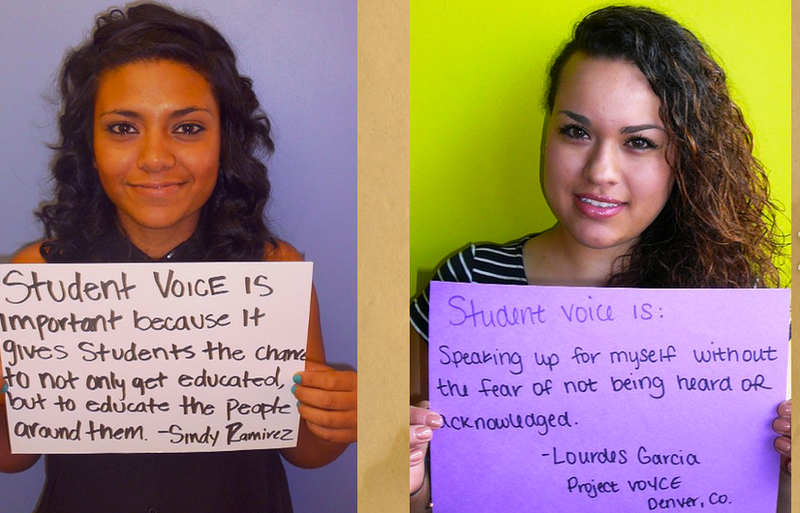 Students in the cohort have also expressed sadness in its conclusion. This does not occur in online courses that utilizes only asynchronous tools. I feel that we’ve know each other forever. It is so great to know we are not alone in this. I never imagined how much fun it would be. It’s been like an unexpected treat. I learned so much every single week. To hear others experiences has helped tremendously. I love coming to cohort every week – I wanted to be here every week. It’s been so helpful. The group has been so supportive for me. Being part of this cohort has taught me how many right answers there are. It was nice to know that we can ask questions and get clarifications each week, even when I just wanted to take a nap instead of going to class :). It made me feel more connected than anything else in my online education experience. It made me feel more normal. It has been nice to see everyone on webcam – it was great just to see everyone. 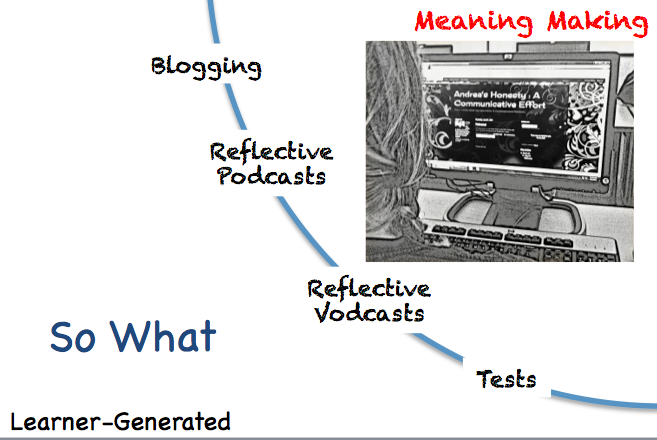 I have been writing about and presenting on Flipped Classroom Model: The Full Picture for about a year now. The model that I propose is one where video lectures and tutorials fall within a larger framework of learning activities. 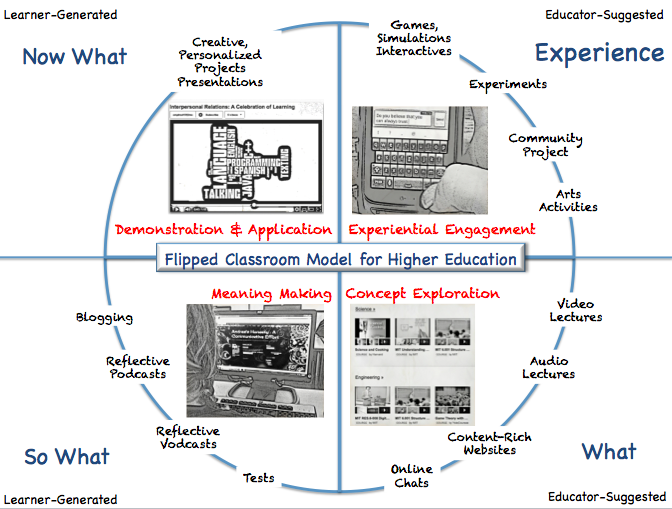 I am titling it the Flipped Classroom Model to get folks’ attention given the Flipped Classroom popularity right now. 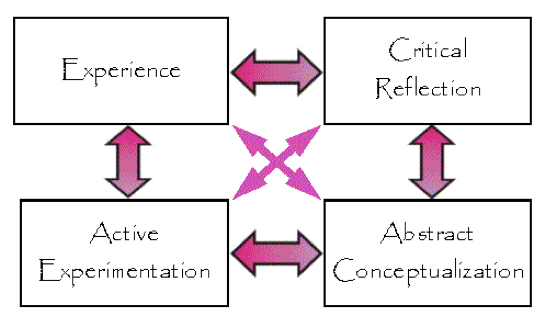 It really is a experiential cycle of learning, where the video lectures support not drive the learning process. A major roadblock or barrier to implementing the flipped classroom is that many educators do not know what to do in the classroom with the time once spent doing lectures. 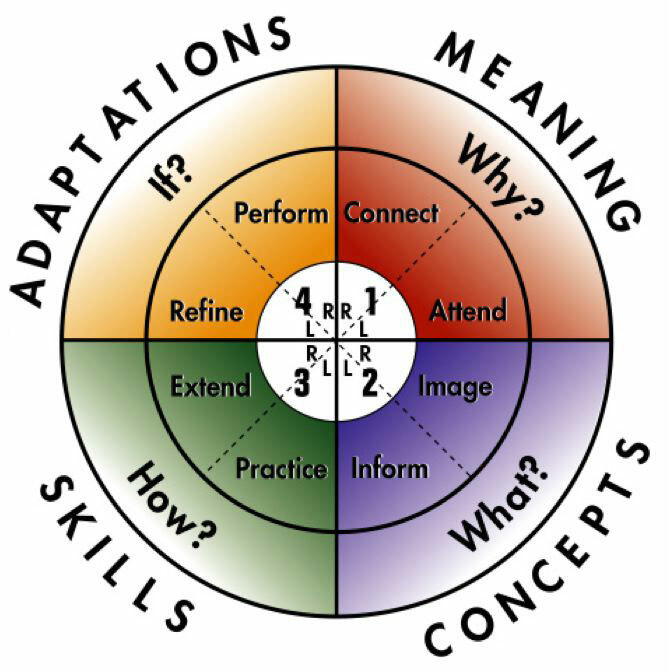 For educators, who are used to and use the didactic model, a framework is needed to assist them with the implementation of the Flipped Classroom. Along with my series of blog posts on The Flipped Classroom: The Full Picture, where I provide a framework (see https://usergeneratededucation.wordpress.com/tag/flipped-classroom/), I published artifacts on other online platforms. Future of Online Education: Online Learning or Education of the Future? I read several posts this week about recommendations for the future of online learning. These are summarized below. 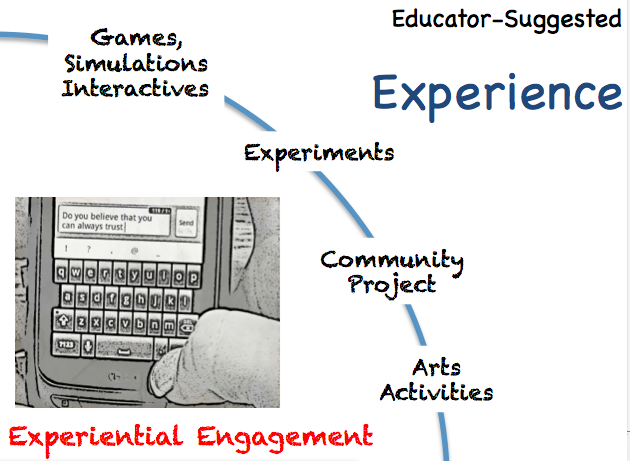 First, though, I know we are currently differentiating between online-virtual and face-to-face, place-based education. We also have added blended education into this discussion about how and where education takes place. This is probably a moot point as the education of the future will be where, how, and when the learner chooses. Lines will be blurred with some education face-to-face, some virtual – depending on the learner’s interests, skills to be learned, and knowledge desired. These recommendations should be discussed as best practices for all types of education. Education needs to reflect the ability of the web to keep an ongoing and current pulse on global events and information. Education needs to embrace the collaborative, social aspects that attracts users to social networking. What’s required are innovative approaches to course design that set aside old models of instruction where theory often trumps actuality. Online course providers must embrace the web’s potential to match students with the kinds of timely knowledge and skills that address current issues head-on, and enable them to thrive in the global marketplace. It’s not enough for a course to be accessible online, it must also be designed in a way that keys into the digital pulse of current events, trending topics and insider knowledge endemic to the web.. The web, as a real-time medium, is begging us to build innovative courses that can be used for the rapid delivery of education designed in a way that integrates current news, information, insights and research about topics like the oil spill and thousands of other current issues. 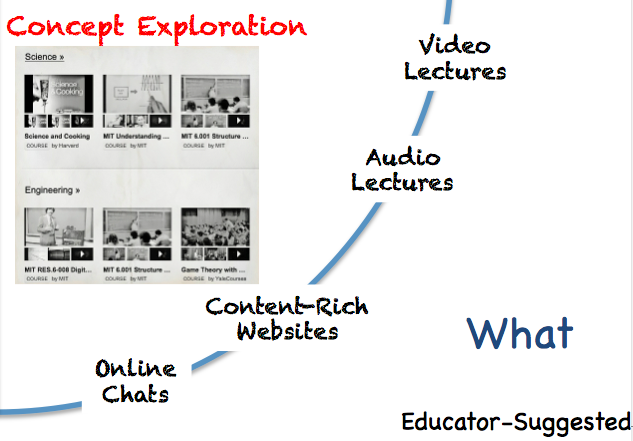 To attract and retain the typical college-age demographic, as well as the larger population of adult learners in search of relevant and engaging educational content, the next generation of online education must be characterized by courses that build in the social, real-time information capturing components that have made the web such a dynamic medium for sharing information and knowledge. We’ll see more collaborative endeavors in online-learning offerings. It will be more social than what it has been. New technologies are moving that way. The rise of social networking, Web 2.0, and the participatory web. At the center is the social interaction between individuals. Right now most courses that are based on content-management systems are not focused on interaction between participants. They’re focused on, let’s put together this weekly module, and then that’s where the experience happens. The student goes there to read about the weekly module. The future is where the center is the student, and the people comprising this online learning community. The student and the community are collaborating on the content. It’s no longer possible for universities to be offering distance-education courses that are isolationsist or individualistic when people’s experiences outside of the university are social and connected. Claims have been made that the MTV generation forced educators to have to be more like entertainers to keep students’ attention. I believe that such boredom existed throughout the institutionalization of education – that students of the MTV generation just realized the potential of media to engage, entertained AND educate them. An American lecturer believes he has found the secret of engaging the “MTV generation” who have an attention span of “minutes”. Stressing that his undergraduate experience was in the United States, he said: “The worst thing in the world for me was these one-way lectures. I sat through so many lectures that were just so boring.” But while he put up with it, he said today’s young students were less tolerant. “The old guy who stands there and just lectures to the class – these days are gone. Their attention span is in the minutes now,” he said. Mr Dever said that studies as far back as the 1970s had shown attention spans of only 15 to 20 minutes at a time. But today’s bricks-and-mortar institutions now faced a threat from online courses that engaged students and avoided the problems of one-way lectures. The same is true, in my perspective, for the claims being made of online learning. Human beings have a natural propensity to stay informed, to work socially and collaboratively, and to help with global stewardship. The technologies are now providing the opportunity to do so. Users of the Internet are now the learners. These consumers of education will just insist, as did the MTV generation, that their educations of all kinds, face-to-face and online, contain the elements of real time and authentic information and connection.